An artistic rendering magnifies an electro-optic modulator. Researchers at the University of Washington (UW), working with researchers from the ETH-Zurich, Purdue University and Virginia Commonwealth University, have created a tiny device, smaller than a human hair, that translates electrical bits (0s and 1s of the digital language) into light, or photonic bits, at speeds 10s of times faster than current technologies. 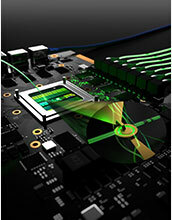 This is considered an optical communications breakthrough that could revolutionize information technology. "As with earlier advances in information technology, this can dramatically impact the way we live," said Larry Dalton, a UW chemistry professor emeritus and leader in photonics research. 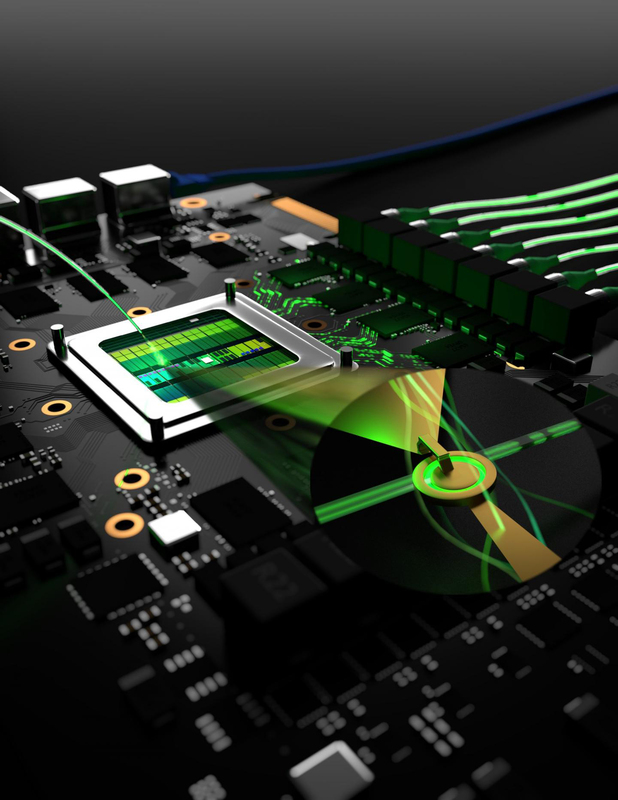 These new electro-optic devices approach the size of current electronic circuit elements and are important for integrating photonics and electronics on a single chip. The new technology also involves utilization of a particle, a plasmon polariton, that has properties intermediate between electrons and photons. This hybrid particle technology is referred to as plasmonics. The research was supported in part by the National Science Foundation (NSF) (grant DMR 13-03080).